($12.50 Retail). 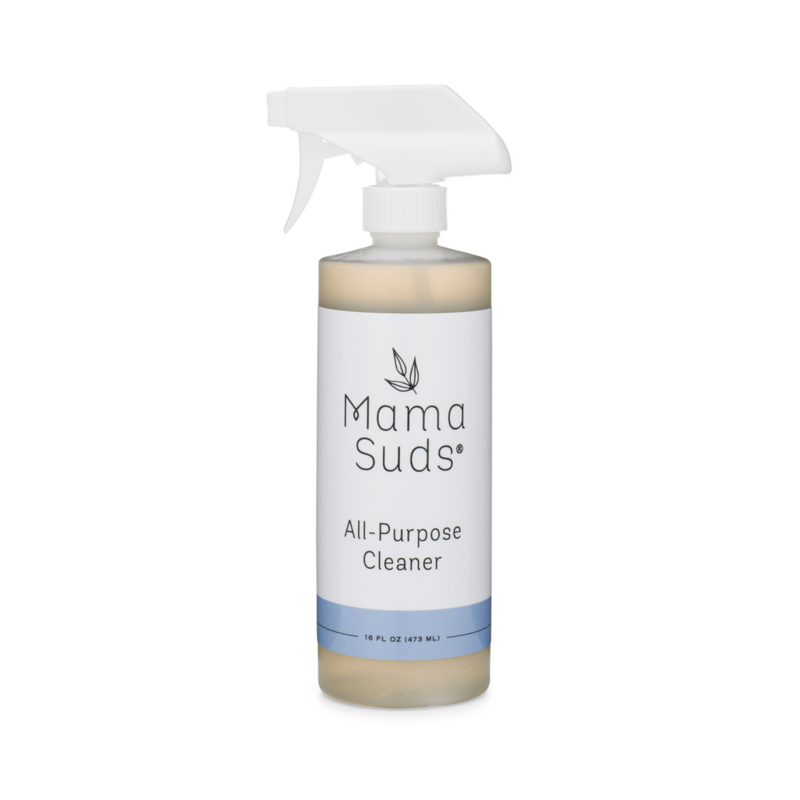 MamaSuds All Purpose Cleaner is tough on the crud but safe enough to wash out a potty mouth. Actually, don't do that, it tastes horrendous. You don't need a special cleaner for every nook and cranny of your home. Sinks, counters, doorknobs, stove-tops, garbage lids, the side of the couch where your mini-me drew a self-portrait.... all you need is this brilliant and effective formula that leaves nothing behind except faint aroma of pure essential oils. 16 fluid ounces (enough to make your entire home immaculately shiny) Ingredients: water, MamaSuds handcrafted Castile Soap (potassium olivate), organic whole leaf aloe vera gel juice with citric acid*, pure essential oils of clove bud, organic cinnamon leaf, lemon, eucalyptus radiata, and rosemary. BPA-free and recyclable plastic with a spray top (both made in the USA) Earned gold stars for safety from the Environmental Working Group Certified cruelty-free by Leaping Bunny and Vegan by PETA Free of any synthetic ingredients Refillable with MamaSuds Castile Soap (2-3 fluid ounces of soap, 13-14 fluid ounces of distilled or RO water and your favorite essential oil) 2017 Indie Business Artisan product of the year in the Lifestyle + Home category How to use: Spray on any water-safe surface (including sealed wood). Wipe with a soft cloth or scrub with a non-scratch sponge. Test any fabric in an inconspicuous area before going crazy.